We’re very excited to bring StoryPoint to Kentucky! 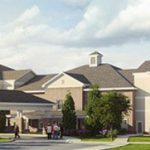 StoryPoint senior living is preparing to bring exceptional care services to seniors in Middletown, Kentucky and the surrounding areas in 2020. With over 35 years of experience in the senior living industry, we do our best to make each moment something to remember at StoryPoint. Even though we are still under construction, you can still get to know one of our newest communities! Known as the “living room”, the main lobby is the heart of the community. Residents are greeted every day by our friendly, 24-hour receptionists and support staff. The coffee is always fresh and warm in the Charming Café. A rotating continental breakfast provides the perfect setting to start the day. Our Media Center has enough room for up to 75 people to sit back, relax and enjoy movie screenings, lectures, celebrations and more! Although bookshelves can be found throughout the community, residents have access to an abundance of books and computers. It’s a great place to work on a puzzle or dive into a good book. Residents can enjoy a “night out” in our Candlewick Bistro. Our on-site sports bar is the ideal setting to enjoy a televised sports game or a glass of wine. Our Prime Thyme dining room has room for all! Residents come here to gather around a meal with their peers, prepared by our community’s Executive Chef. With seating for up to 10 people, the Private Dining Room can be reserved by residents and their family members for a personal dinner to celebrate life’s many milestones. A licensed massage therapist is available for treatments that can be both relaxing and beneficial for the overall health of every resident. Our on-site Beauty & Barber Shop provides residents with haircuts, dyes, manicures and pedicures to keep everyone looking in tip-top shape. Cooking demonstrations, pool tables and other Life Enrichment activities live in the Activity Room. This room is always buzzing. There’s nothing better than a home cooked meal, except maybe the joy that comes from sharing it. At StoryPoint Middletown, we’ll employ our very own Chef to create delicious food for every resident. At StoryPoint, one size does not fit all. We take the time to get to know our residents to design activities catered to their interests. Have a favorite hobby or craft? We’d love to hear it and create an event for all our residents to enjoy. Picking a senior living community is a big decision, and no two communities are exactly the same. Before you start the search, have an idea of qualities you’re looking for. 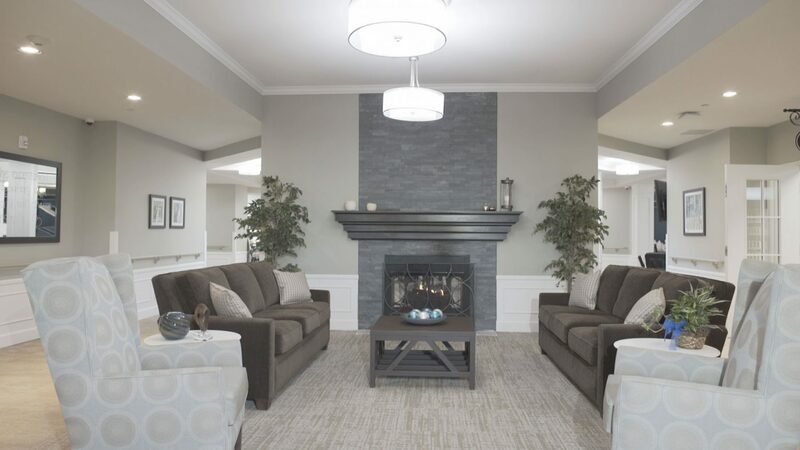 This will make pairing a senior living home with your lifestyle much easier. Here are some basic requirements we think everyone should consider before signing-up. Even though our community won’t open until 2020, you can still get to know what sets us apart from the rest. Contact our Community Specialists to learn more about one of our newest communities.